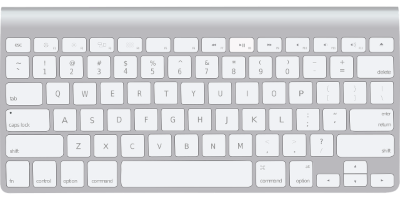 Keyboard combinations (also key combination, keyboard command, hotkey, shortcut Key, shortcuts, key sequence) are simultaneously or successively pressed keys. One of the most common keyboard shortcuts is CTRL + ALT +DEL. This combination was originally used by IBM to reset or reboot the computer. Under Mac OS X, this key combination has no special meaning, since a reset is triggered by the Cmd+Ctrl+Switch On key or by a special reset key. The shortcut achieved great fame due to the "Blue Screen of Death", which brought the user to the brink of despair (because nothing worked anymore) and contained a hint on how to restart the computer. Few people know that this combination was a mistake. The developer of the IBM keyboard did not want to provide Microsoft with a single button. Therefore, the combination of CTRL + ALT + DEL was chosen. 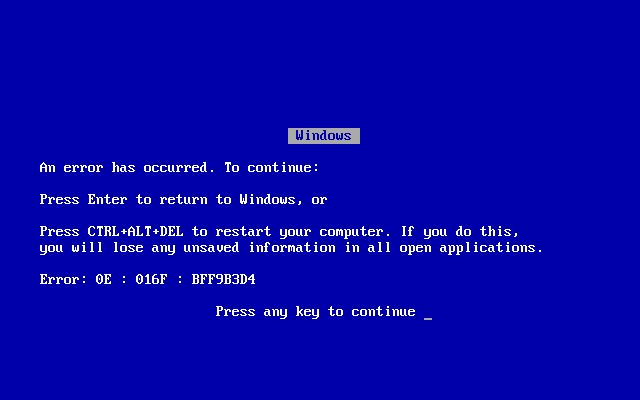 When in later versions of Windows the Blue Screens became less common, Microsoft took over the combination to reach the login screen or the task manager. There are shortcuts that are identical in almost all programs. These shortcuts are easy to remember using the shortcut and function. On this page you will find further shortcuts for Windows 7, Windows 10, OS X and Linux. As well as for applications such as MS - Word and other Microsoft Office products and keycombination for Hardware. If shortcuts are learned, they make everyday office life easier. Some lists with shortcuts can be long. In the browser press CTRL-F (search) and enter the desired search word. You have already learned the next shortcut.